Cake Decor in Cairns: How do I Pipe Big Swirls & Roses on Cupcakes? 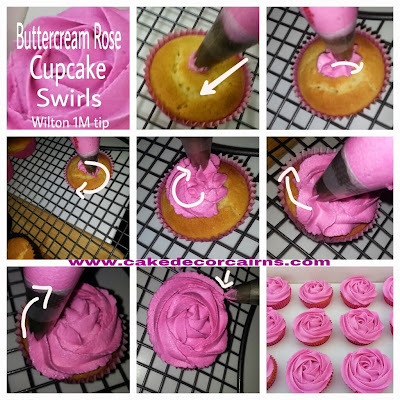 How do I Pipe Big Swirls & Roses on Cupcakes? 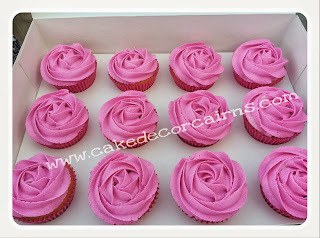 I get asked often how do I pipe such big Swirls or simple full cover Roses on my cupcakes. Most of the time the people who ask, have tried and tried to no avail. 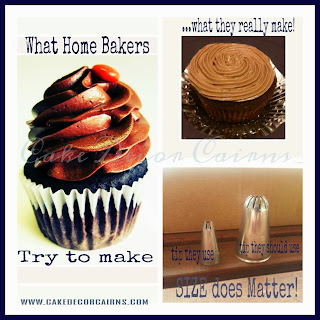 Their piping is small or flat or just not right! 9 times out of 10 the reason why is usually the same... they are using the wrong size tip. 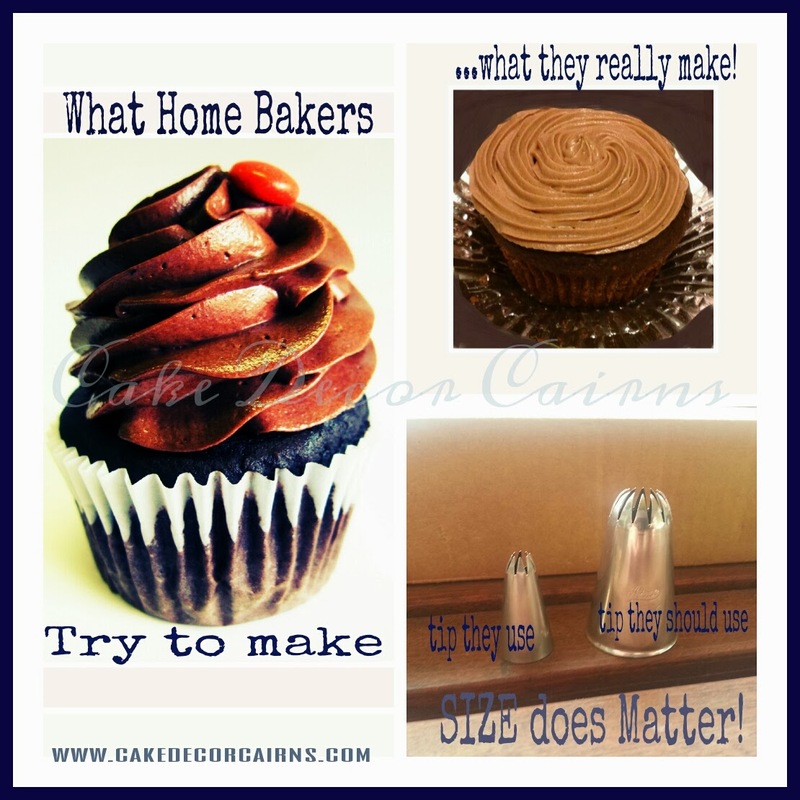 When piping for big showy effects on cupcakes size really does matter. You will not get a big swirl with a little tip. 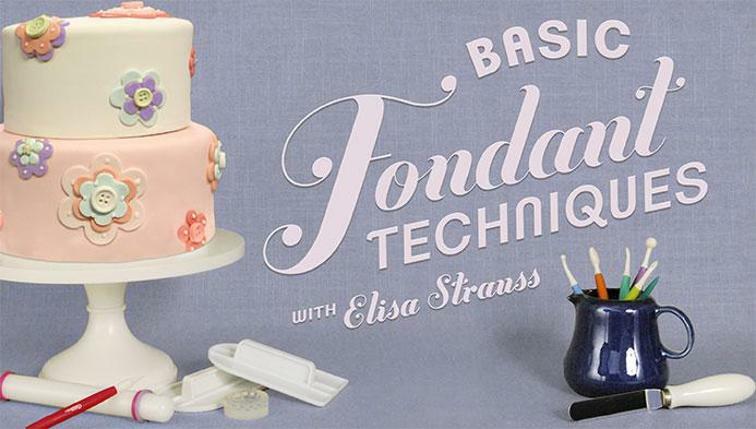 Usually people who have been unsuccessful in this technique have been starting incorrectly on the outside of the cupcake. But as you can see in the picture steps below, you must start from the centre. Excuse the blur, it's very hard to pipe and take a photo at the same time! 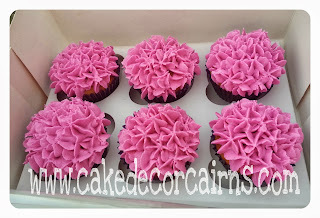 And just because I was having fun with all this pink buttercream, here's another pretty flower effect using the 1M tip. 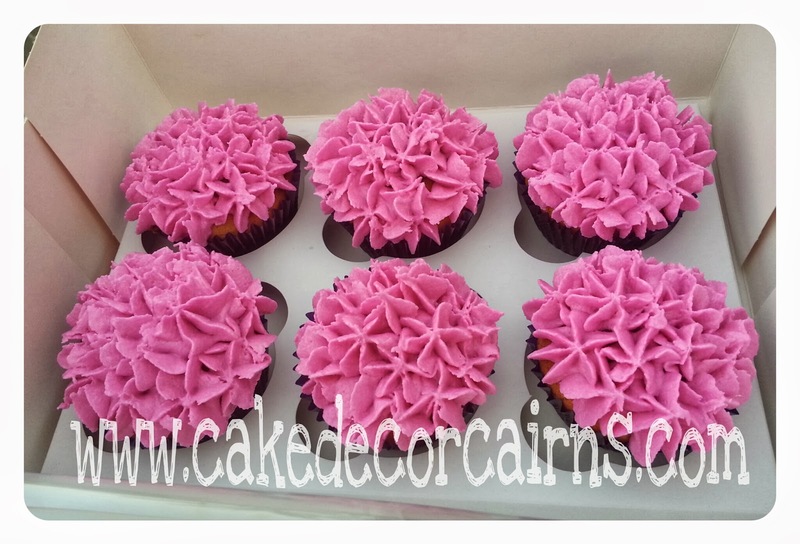 Short little bursts of buttercream all over make a plain cupcake look special!